A new report by a green energy think-tank calls for increased investment in electric buses to both reduce emissions and boost Canada’s growing manufacturing base of the vehicles. 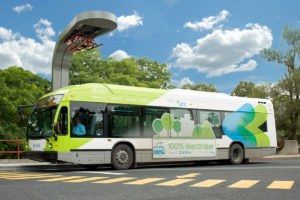 The report also estimates that by 2030, electric buses will have about the same upfront cost as diesel. Currently, e-buses cost about two to four times more.